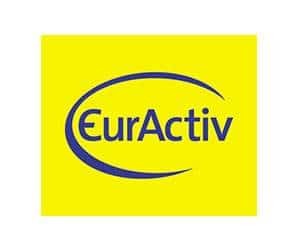 On 13th of April, Assya Kavrakova released an Opinion on Euractiv on the future of the European Citizens’ Initiative. Based on an ECAS’ study, “The European Citizens’ Initiative Registration: Falling at the First Hurdle?“, conducted in the framework of the ECI Support Centre, ECAS is putting forward a set of recommendations to increase the rate of success at the entry level for ECIs. 1. Clarify through public debate the nature of the ECI as an agenda-setting instrument. It is, in fact, unclear whether the ECI is mainly an agenda-setting instrument limited to initiating legally binding legislation, or whether it could also be a policy-setting instrument, allowing citizens to put certain issues on the EU policy agenda. 2. Provide a definition of “manifestly outside” that is clear, easy to understand and is not subject to arbitrary interpretation. Currently, the Regulation provides no specific guidance on how to determine whether a subject matter is “manifestly outside” the Commission’s competence to submit a proposal for a legal act. The criterion is quite vague and requires further clarification. This is especially so given the fact that EU citizens must be able to understand how the Commission assesses what it considers to be “manifestly, in order to decide whether their proposal is likely to meet the requirements, outside”. 3. Clarify the procedure for the legal admissibility test and ensure transparency of the decision-making process. Given the current relatively strict application of the registration eligibility test, this results in certain initiatives not being able to start collecting statements of support, even though the mere collection of signatures already sends a strong democratic signal. 4. More transparency in the rules of procedures and internal guidelines of the European Commission on the registration process should be disclosed and made publicly available. Any amendment of the test must reflect the fact that the current test is applied too strictly and should acknowledge that EU citizens are normally not very well versed in EU law. This will allow initiatives that call for legal action based on provisions that are prone to multiple interpretations to be nevertheless registered. 5. Establish an ECI officer, similar to the Hearing Officer in competition law. The ECI officer would ensure that a constructive dialogue is established between the institutions and the ECI organisers during the registration process and beyond. The role of the ECI officer would be to liaise with the organisers throughout the registration process and to provide support in identifying the possible legal basis of the ECI, as well as to resolve disputes between DG SEC GEN and the organiser, in case of refusal of registration. 6. Secure adequate legal advice for ECI organisers with regard to the legal basis of initiatives, which is independent and outside the remit of the European Commission.